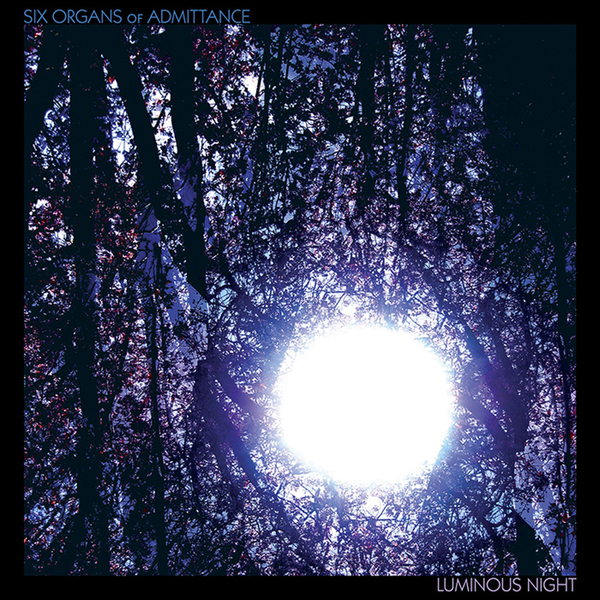 Following up 2007's Shelter From The Ash, Luminous Night is the eleventh album proper from Ben Chasny's Six Organs Of Admittance, arriving a few months on from the RTZ compilation of early recordings and rarities. Straight away this album finds Chasny and his cohorts (who on this occasion include violist Eyvind Kang, drummer Matt Chamberlain and Earth's Randall Dunn as producer) scaling more musically expansive heights than on prior outings: 'Actaeon's Fal (Against The Hounds)' teams that distinctive Six Organs fingerpicking style with woodwind and strings to fashion a beautiful and cinematic piece of baroque prog-folk. Following on from this excellent starting point is 'Anaesthesia', a psychedelic ballad evocative of a catatonic re-imagining of what a stoner-rock Fairport Convention might have sounded like. It's a chilly and rather moving piece of work, both in terms of its writing and as a production - artfully escalating in dissonance and doom-folk potency as the track sails to a finish. 'Ursa Minor' follows a similar template finding possibly even greater success, with Chasny combining his stellar guitar arrangements with great (if somewhat mumbled) confessional lyrics. Of course this wouldn't be a Six Organs album unless there were a few cosmic campfire wigouts, and sure enough, the hypnotic tabla rhythms of 'Bar-Nasha' and 'River Of Heaven' fulfill that obligation nicely, but far beyond the norm is 'Cover Your Wounds With The Sky', whose fiery, Tim Hecker-like arcs of distortion hint towards a more forwards-facing, soundsculpting approach to composition. Highly recommended.